This section of the Braaf family's property appears to be typical coastal scrub, with scattered ground plants. In the distance, there is a small, wood pier. 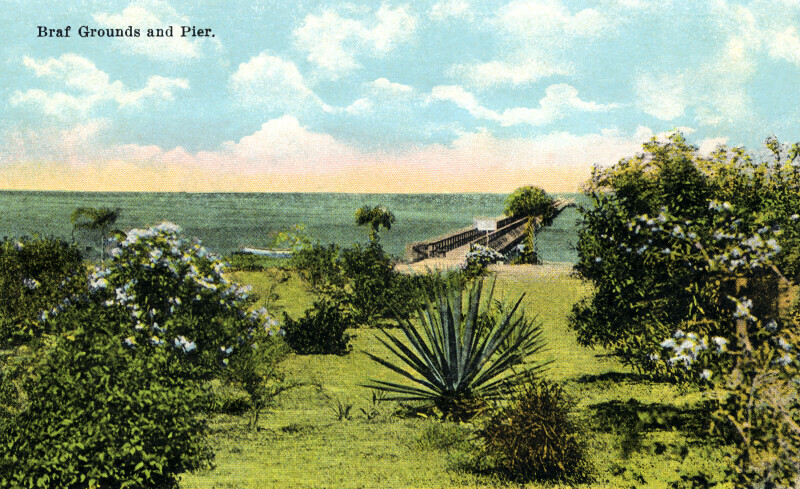 The pier is built out over the waters of Tampa Bay. This area is now part of the grounds of the Vinoy Park Hotel, which is on the National Register of Historic Places.